Another opinion poll has been released by the Centre for Inter-party Policy (CIP) suggesting that President Rupiah Banda and the Movement for Multi-party Democracy (MMD) will emerge victorious with 40% of the total votes. Speaking to journalists in Lusaka, CIP Director Neo Simutanyi said President Banda will retain the presidential seat and Patriotic Front (PF) Leader Michael Sata will be second in the race with 38% of the votes. The opinion poll, which Simuntanyi said has a national representative sample of one thousand five hundred registered voters, puts UPND Leader Hakainde Hichilema in third position in the presidential race with thirteen percent. 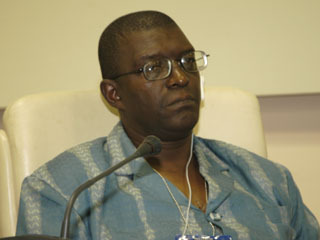 Simutanyi said that the MMD has consolidated its strongholds in Eastern, Central, North Western and Western Provinces. But he claimed the PF has lost considerable ground in its strongholds, including Lusaka. Simutanyi noted that MMD stands a better chance of winning the polls because the opposition is divided as witnessed from the collapse of the PF/UPND pact. He said the failure of the pact led to the two opposition parties’ loss of popularity in most of their strongholds, making the ruling MMD the favorable and preferred party. Simutanyi further claimed that according to the findings of the opinion poll most citizens seem content with President Banda’s regime and are not in a hurry to seek change. A few weeks ago Simuntanyi came up with another poll in which he caimed that Sata and his PF will win. The poll was roundly rejected as being unprofessional and its sample size questionable. Though Simuntanyi’s latest poll hinges on the PF/UPND pact faiure, even his ast poll was released after the collapse of the pact. Kachingwe told ZNBC that the out come of this year’s elections will be based on performance record as opposed to biased opinion polls. He said similar opinion polls by Stedman Group proved misleading after the 2008 presidential elections. Major Kachingwe said although people have the right to hold their own opinions, the MMD will not relent in its efforts to retain power after this year’s tripartite elections. He urged MMD members to remain alert and steadfast in the run up to this year’s tripartite elections. Major Kachingwe however says only credible opinion polls should save as political wake up calls for all political parties.